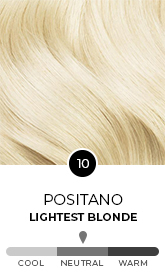 Catania blends a very light, creamy Blonde with cool Beige Tones creating a smooth, very light beige blonde finish. 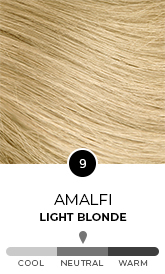 The cool reflects will remove any visible Warmth for a beautiful very light beige blonde. 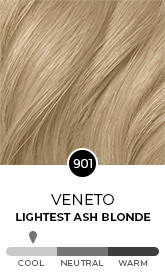 Recommended for anyone with uncoloured hair which is level 8, 9 or 10, or for anyone with hair already coloured level 10 or lighter (901, 902).